Thomas Davis broke his arm in the NFC Championship, but plans to play Sunday. During the first quarter of the NFC Championship game nearly two weeks ago, Carolina Panthers All-Pro linebacker Thomas Davis broke his arm making a tackle. Immediately after the game, Davis said he had every intention of playing in Sunday's Super Bowl, and it looks like he'll be able to do so with the help of a 3D-printed brace. Whiteclouds, a 3D printing company, engineered the brace in about 8 hours last week, after receiving a 3D scan of Davis' forearm. What's more, when he takes the field this weekend, Whitclouds says it will be "the first time an NFL player has used a 3D-printed piece of equipment on the field." Whiteclouds worked with Charlotte-based 3D Elite on the design, a company that specializes in braces and casts for sports. 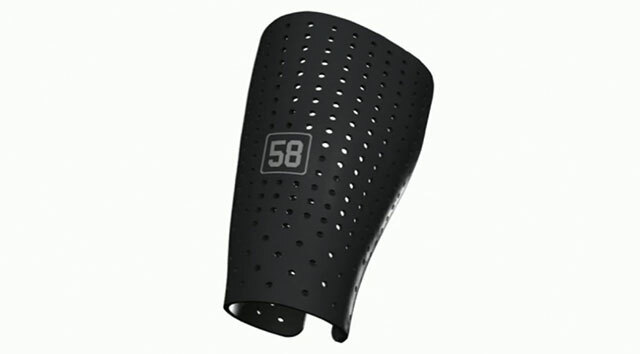 The brace is made printed out of a composite blend of plastic and rubber materials. This makes it rigid to stabilize the arm, but flexible enough to absorb any impact. It also has holes to make it breathable and to cut down on any extra weight. The inside is printed with a spongy material that not only increases comfort, but also improves the ability to withstand a collision. In all, the brace took 30 hours to print with a Stratasys Connex machines. After suffering the injury, Davis underwent surgery to have a metal plate and a dozen screws put in his broken arm. He tried four different braces during the week of practice leading up to the big game, but the Whiteclouds/3D Elite solution ended up being the best option. For the Super Bowl, Davis will wear the brace under a layer of protective foam that will be taped to match the team's uniforms. Having No. 58 on the field will certainly help the Panthers try to spoil what's expected to be Peyton Manning's final game.